There are a number of beautiful Caribbean villa rentals that not only have late availability for Thanksgiving, but also special offers where you can SAVE up to 25% off the normal rates. 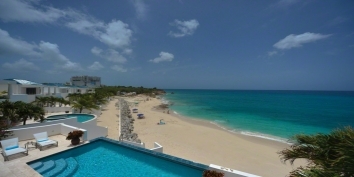 Here’s an overview of the Caribbean villa rentals with late availability and special offers for Thanksgiving. SAVE 25%! Stay between 1 November and 15 December 2013 for ONLY $600 per night! SAVE 25%! Stay between 1 November and 15 December 2013 for ONLY $675 per night! 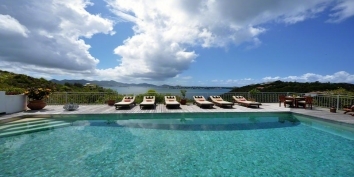 Villa Kulala is a luxurious four bedroom, four bathroom vacation rental with large, infinity edge swimming pool and sleeps eight people spaciously and comfortably. This Antigua holiday villa is very private and located at the end of a promontory known as Dumm’s Point at the entrance to Dian Bay on the east coast of Antigua. This unique setting exposes Villa Kulala to constant, cooling trade winds. Long Bay, which is one of the best of Antigua’s 365 beaches, is only a short walk away. 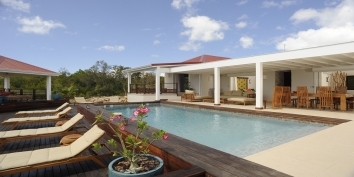 Find out more about Villa Kulala, Dian Bay, Antigua, Antigua and Barbuda. SAVE 20%! Stay between 5 November and 8 December 2013 for ONLY $1,160 per night! SAVE 20%! Stay between 5 November and 30 November 2013 for ONLY $1,080 per night! SAVE 20%! Stay between 5 November and 8 December 2013 for ONLY $596 per night! Bright Idea, a 2500 sq ft 4 bed, 4.5 bath villa with private pool, is set on 1.8 acres in the Taylor Bay area. It includes a beautifully appointed two level, two bedroom fully equipped main villa, coupled with two private one bedroom guest cottages. While you have your own private beach and kayaks, Taylor Bay is 3-4 minute walk up the road and membership at the private tennis court is included in your stay. Find out more about Bright Idea, Taylor Bay, Chalk Sound, Providenciales (Provo), Turks and Caicos Islands. SAVE 20%! Stay between 5 November and 8 December 2013 for ONLY $780 per night!